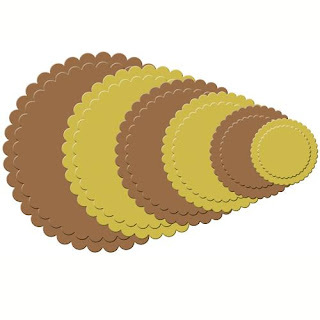 Petite Scallops offer a small scallop in this 6 set collection. 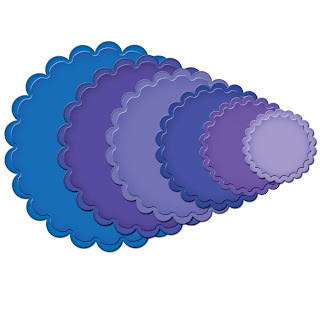 With scallops and circles everywhere in paper crafts right now, you don't want to miss out on this set. 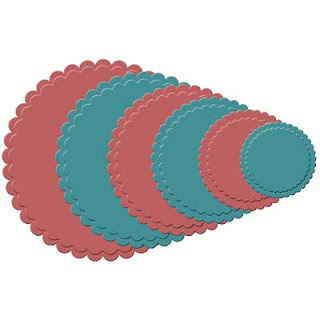 This die template set coordinates with Standard Circle, Large (S4-114). $21.95 plus shipping. Simply combine Spellbinders Megabilities and Nestabilities to produce one of the most intriguing die collections around. 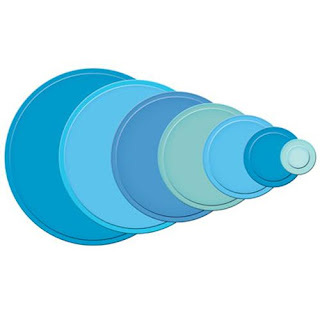 Featuring our Nestabilities function, this line nests a bit differently and has slightly different cut sizes at various parts of the die while retaining the appropriate size for the shape. 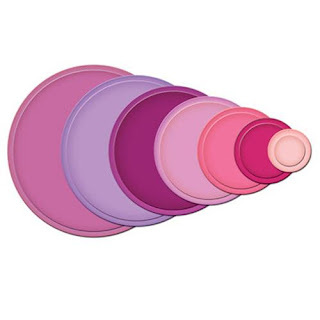 If using the purple Wizard, be sure to have the S5 Spacer Plate available to cut the S5 Die Templates. If using the Raspberry Wizard, the Magnetic Spacer Plate will work. 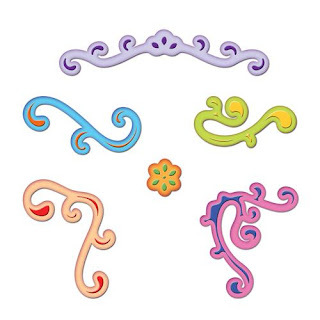 Approximate Image sizes: 1) 2¼x1½" 2) 3x2"
This die template set of curvy flourishes awaits nearly any paper crafts project. 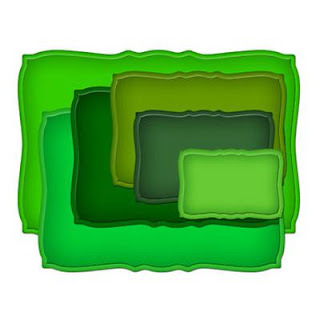 The six die template set has 2 pairs of near mirrored images with just slight modifications. This gives many options for finding just the right image for a card, page or altered item. A wonderful addition to your set of favorite supplies. 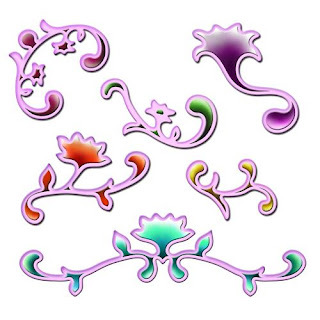 Approximate Die Template Sizes:(Clockwise starting at the top) 3¼x⅞ "1⅝x⅞ "2x1 "2⅛x1 "1⅞x⅞ "Flower: ½"
If you would like to purchase any of these Spellbinder dies, please e-mail me with your order. If you have not ordered from me before, I will need your mailing address and how you wish to pay. I accept Visa, Master Card and PayPal.